The current draft law fails to address the many gaps in Nepali law that make it difficult to prosecute, especially at senior levels, for international crimes such as torture and crimes against humanity. The Nepal government has ensured an extension of its two transitional justice commissions while also committing to future amendments to comply with international standards and Supreme Court rulings, the groups said. The government is holding consultations around a proposed Commission on the Investigation of Enforced Disappeared Persons (CEIDP) and the Truth and Reconciliation Commission (TRC) (Amendment) Bill. Human Rights Watch and the International Commission of Jurists issued the statement after the Nepal government shared a draft bill purportedly to amend flaws in the laws of the CEIDP and TRC Acts. Ahead of submitting further analysis and recommendations in the consultative process, the organizations said that Nepal authorities should take into account concerns of all stakeholders, including the groups representing victims of serious crimes by all sides during the civil war, other civil society organizations, the National Human Rights Commission (NHRC) and the United Nations Office of the High Commissioner for Human Rights (OHCHR). 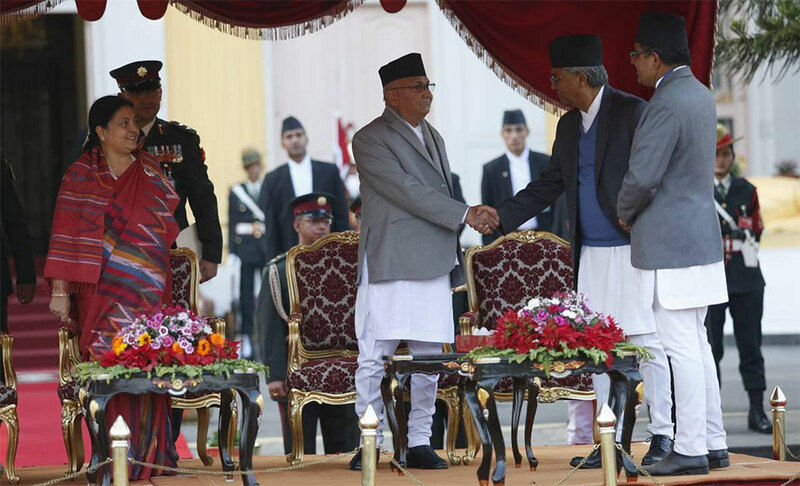 Nepal’s new government under Prime Minister Khadga Prasad Oli of the Nepal Communist Party promised that the Nepali law on transitional justice would be brought into conformity with international law and standards as had been directed several times by the Supreme Court. After years of previous governments failing to comply with the Supreme Court rulings, the new attorney general had announced that reforms to the law were underway, which victims’ groups said gave new hope, and as explicitly requested by the United Nations Human Rights Council (UNHRC) and human rights organizations. While positive changes are noticeable including in relation to reparations, the proposed law authorizes the two transitional justice commissions to authorize prosecutions without strengthening the commissions themselves, proposes a special court without clear guidelines on impartial investigations, and includes a section permitting non-custodial sentences for the most serious crimes. These raise concerns that the proposed draft may not meet international standards of justice and accountability. The two commissions, which experts say require crucial bolstering, have conducted country-wide hearings and gathered nearly 60,000 cases between them. Victim groups complain that the process has been arbitrary and confusing. The organizations also noted a number of continuing obstacles to justice, which the bill has not addressed. These include the continued failure to incorporate specific crimes into Nepali law that are serious crimes under international law, including torture, enforced disappearance, war crimes, and crimes against humanity. In addition, the bill provides for the wholly inadequate sanction of short-term community service as an alternative punishment for those convicted of serious crimes, which may constitute effective impunity. Nor does the bill address the question of command and superior responsibility for such crimes, leaving doubt as to whether those at the highest levels of authority will be held accountable for these crimes. The international organizations were invited to a meeting with the attorney general and other stakeholders on June 21 but did not have a translated draft available ahead of the discussion. However, during the consultation, the groups stressed the need for meaningful consultations on the bill. The organizations noted also that universal jurisdiction, which allows for any state to prosecute those believed to have engaged in torture, enforced disappearance, or other serious crimes under international law, will remain an available option for victims to seek justice in cases of serious abuses during the civil war. Nepal’s civil war, fought between the insurgent Communist Party of Nepal–Maoist (CPN-M) forces and the government, ended in 2006. The armed conflict lasted a decade and led to nearly 13,000 deaths, 1,300 reported enforced disappearances, abductions, torture, and ill-treatment, including sexual violence; and other abuses by both parties. The war led to an extraordinary effort by the United Nations Office of the High Commission for Human Rights to set up an office in the country, charged with monitoring and mapping conflict-related issues. The office issued a report on the violations they monitored. The UN also set up a separate United Nations Monitoring Mission in Nepal, which was charged with monitoring the implementation of the peace agreement. However, since then, Nepal’s political leaders and security forces have all obstructed any efforts at accountability promised under the peace agreement, leading to concerns over commitment of the government towards its stated goal of securing transitional justice for victims of the war.